Mohsin Hamid is the Pakistani author of three novels: Moth Smoke, The Reluctant Fundamentalist, and How to Get Filthy Rich in Rising Asia: A Novel. I have just finished reading all three and I am impressed with his prose styling which in clarity reminds me of Ernest Hemingway. 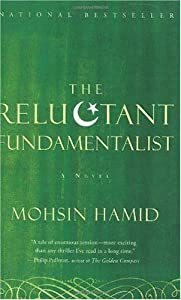 If you chose to read only one of his books, my recommendation would be The Reluctant Fundamentalist. It is the story of a western-educated Pakistani who lands a high paying job on Wall Street shortly before the attacks of 9/11/2001. After 9/11, he begins to feel out-of-place working in New York and eventually he decides to quit his job and return to Pakistan. Giving voice to his thoughts, he attracts a group of like-minded followers, some of whom are violent men. He is neither violent himself nor does he advocate violence. However, he is labelled a terrorist leader in the West and an assassin is sent to kill him. The arrival of the assassin is anticipated and prevented from carrying out his assignment. The Reluctant Fundamentalist grows and evolves as he learns to think for himself and to express his thoughts. It takes courage to speak out in today’s world, and the reader is encouraged to follow suit. Socialism is a term used by many today to express their opposition to many different proposals. The favorite term used to be communism but you don’t hear that used as much today since the USSR dissolved. Socialism is a word used as though democracy and freedom are opposites. That is not true. Most countries still practicing socialism successfully are democracies with all the freedoms we have, but with a higher level of taxes. Who opposes higher taxes? Those who will have to pay them and those who are fooled into thinking that they will have to pay them. Let’s do away with taxes and government. We want freedom and free market capitalism which are not the same thing. Let’s do away with Social Security, Medicare, unemployment benefits and disaster relief. Make our highways into toll roads. Extend the workday to 12-14 hours each, six days per week. Take children out of our failing schools and let their start earning a living in factories here in the US instead of sending those jobs to South America, Africa or Asia to employ children there. Our children can work just as well as their children. Now that is freedom.